A quick Google search for "English learning resources" yields over 30 million results. With thousands of people vying for your attention and claiming to offer what you need, finding the best English learning resources can feel like a nightmare. The good news? There are so many resources available online that, with time and dedication, it's completely possible to become fluent in English using free online tools. This list will give you a good idea of where to start. YouTube offers a wealth of information, far more than you'll ever find at your local library or university. Watch old sit-coms to pick up idioms and vocabulary and to familiarize yourself with rapid-fire dialogue. Pause frequently, anytime you need to take notes of any unfamiliar phrases. Then look up those words or phrases and challenge yourself to use them in writing or everyday conversation. For more direct English instruction on YouTube, check out these resources. BBC, the British Broadcasting Corporation, offers resources for English language learners of all skill levels. Tim's Pronunciation Workshop is one of their offerings. In it, Tim brings the words on paper to life and demonstrates how they're actually pronounced. BBC's miniseries 6 Minute English presents a short conversation that helps you pick up new phrases while discussing the culture of English-speaking countries. BBC also offers plenty of other tips, tricks, and quizzes help you challenge yourself. Find these and more for free on BBC's Learning English webpage. If one of your goals is to become a more fluid reader, working your way through English books--no matter how long it takes--is a fantastic first step, as is reading out loud to yourself or to a friend to help improve your fluency. Project Gutenberg and Amazon Kindle offers a huge assortment of public domain (free!) e-books, mostly English classics that were published over 50 years ago. You'll find some archaic vocabulary here, but it's a great way to improve your reading skills, especially if you plan to attend an English-speaking college or university. Here's a tip: stop at the end of each page (or chapter) and jot down a quick summary. Also take time to write down words you don't know, look them up in a dictionary or online, and make flash cards of those new words or phrases to review later. In order to become fully conversational in English, it's essential to have real conversations with English speakers. EnglishForums.com allows you to do that. 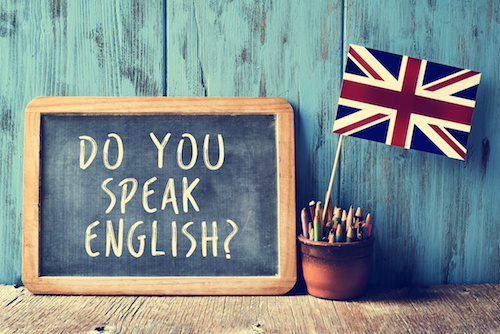 It also makes it easy to ask questions and get input quickly, whether you have a grammatical question, want to confirm how to say something in a formal business letter, or are looking for resources to fill in gaps in your English knowledge. Websites like Speaky.com and HowDoYou.Do also allow you to voice chat (for free!) with other English learners or native English speakers, so you can practice your conversation and listening skills out loud, in real time. You love reading more about the things that interest you, so why not read about your interests in English? Visit the websites for popular English magazines, and you'll find free articles on practically anything, from knitting to fashion, gardening, or dog training. Keep in mind that it takes some dedication to really interact with the article you're reading, so take notes of unfamiliar language, stop to look things up, and make flashcards for new words, phrases, or concepts. This is true of anything you read in English anywhere, so take note--learning opportunities are everywhere! You're only a few steps away from fluency. By engaging as much as possible with the English language--listening to it, reading it, and using it in conversations with other people either in chat rooms, forums, or video calls, you'll surprise yourself by picking up the language more quickly than you thought possible!